Hello, I’m Frances and I’m a unicorn that engineers solutions on behalf of another unicorn. The term “unicorn” was coined in the tech industry because researchers found that the statistical likelihood of a tech startup becoming valued at 1 billion dollars or more is about 1%. And it just so happens that the Bureau of Labor reported in 2016 that only 1% of women in tech identify as Latina. So now you can see how one can be a unicorn or a Latina software engineer such as myself and can work for another unicorn like the enterprise startup Slack - which is worth 7 billion. However, I have no desire for the situation to remain this way as my existence in tech shouldn’t have to be this rare and magical event. Instead, I’d like to band together with other unicorns so that we can lead, influence and inspire the next generation of minority women to not just break into but also prosper. Together, I believe we can transform ourselves from these mythical creatures to the more common but magnificent stallions. Coro Northern California, a nonprofit organization based in San Francisco, prepares individuals for collaborative leadership so they can effectively tackle pressing, public problems. For 75 years, Coro has developed and delivered experiential learning programs so individuals, communities, and institutions better understand themselves, how to work with others, and how to improve their impact. 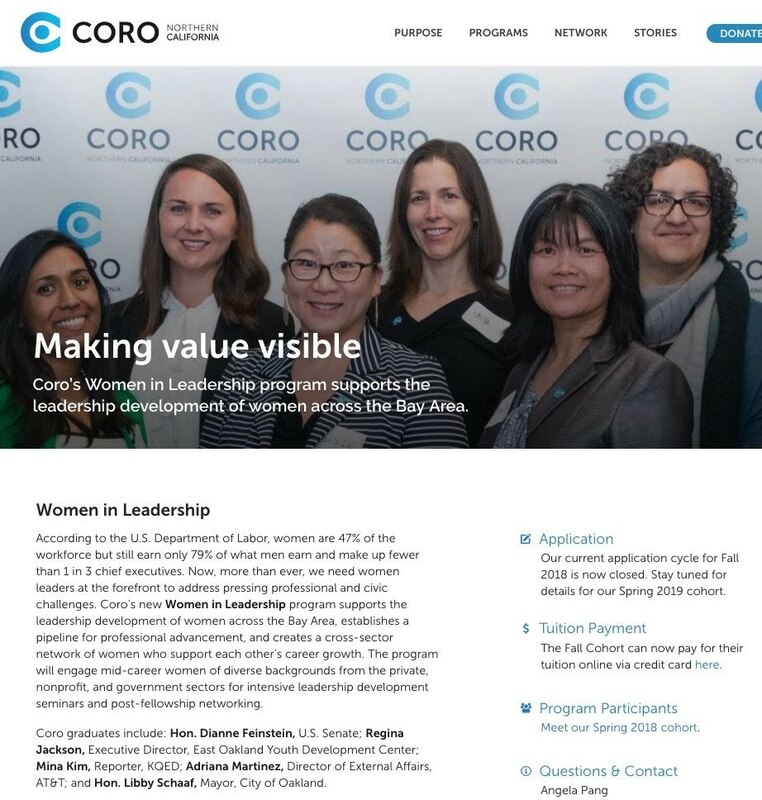 Coro’s Women in Leadership program supports the leadership development of women across the Bay Area, establishes a pipeline for professional advancement, and creates a cross-sector network of women who support each other’s career growth. According to the U.S. Department of Labor, women are 47% of the workforce but still earn only 79% of what men earn and make up fewer than 1 in 3 chief executives. Now, more than ever, we need women leaders at the forefront to address pressing professional and civic challenges. 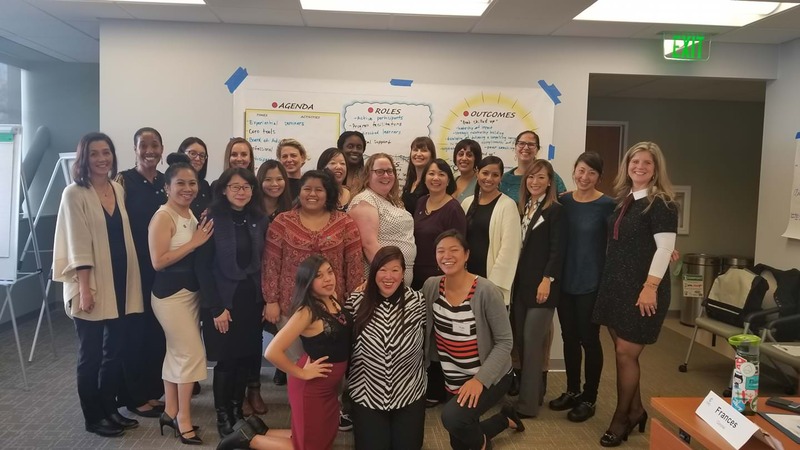 The program will engage 25 mid-career women of diverse backgrounds from the private, nonprofit, and government sectors for intensive leadership development seminars and post-fellowship networking. I received a scholarship from Coro that covered half of the tuition and paid for the rest using my professional development funds from Slack. All sessions will take place at the Metta Fund Community Room located at 850 Battery Street, Suite 200 in San Francisco.